Register for Winter 2018/19 Today! Registration for the Winter 2018-19 season is now open. 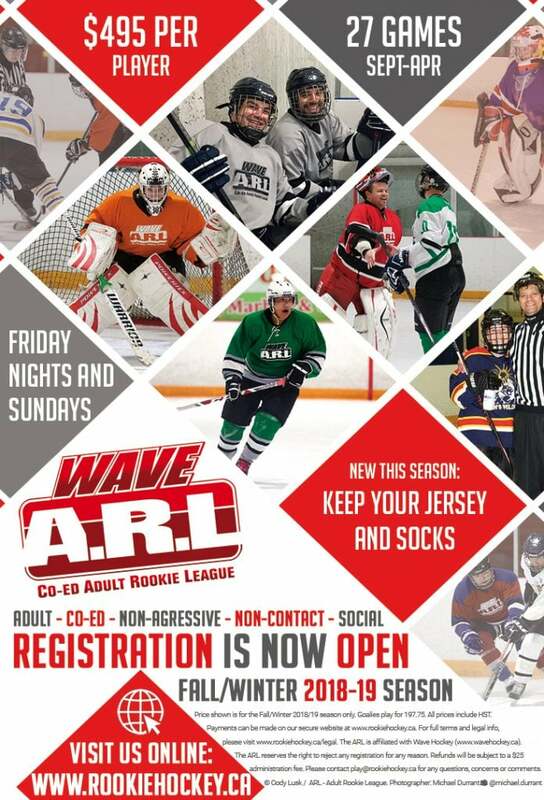 The ARL winter season is extremely popular. Last season over 50% of the available spots were filled in the first week! Games for the winter season take place on Friday evening and Sundays. 36 teams. 5 divisions. 1 great season of hockey. Registration deadline is August 15 so don’t wait! Register today!